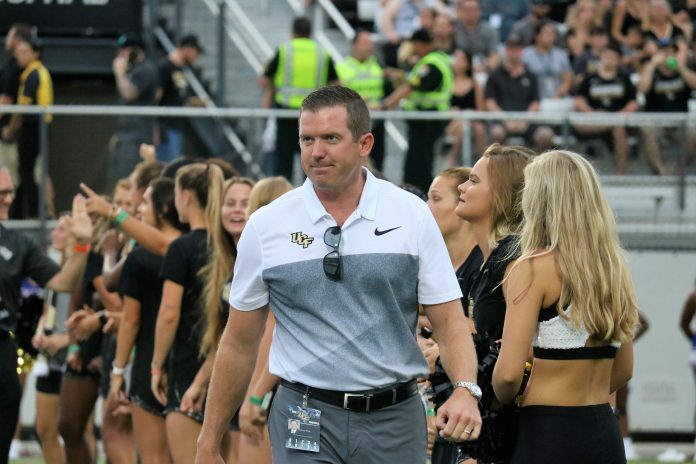 University of Central Florida athletic director Danny White released a statement on social media Sunday night addressing ESPN’s College GameDay and UCF, given the take on the Knights that aired on ESPN Saturday in Pullman. White, once again, stood up for his university’s football program for what he believes is another year of disrespect from the Power 5 sympathetic. On Saturday, ESPN’s Kirk Herbstreit took a jab at UCF while in Washington State, stating that other teams within the G5 are more deserving of a playoff bid. “Why are we focusing on just UCF when it comes to the Power 5 because I think there are other teams out there that are as deserving or more deserving?” Herbstreit said during the GameDay segment. The No. 10 Knights boast a 20-game winning streak and accolades that include its quick and high-scoring offense, in addition to a stellar student-athlete graduation rate across all sports. In the statement, White invited the College GameDay hosts and crew to join UCF in promoting the disenfranchised (Group of 5) teams that don’t see a chance at the College Football Playoffs. I heard that on Saturday you debated UCF’s (now) 20-game win streak and said “this shouldn’t be all about UCF” when talking about playoff eligibility. College football is the only sport in America that is not settled on the field – we need to fix that! I heard our winning streak was met with a comment of “who cares!” What? Sports should be all about wins and losses and not the brand on the jersey! College Football has become a subjective popularity contest. The Knights represent all of the teams who – for reasons of history, geography, or politics – are left out of the club. These factors will not define our bright future. Our student-athletes don’t want anything given to them … they just want a chance. No one likes having their accomplishments disrespected. UCF fans are knowledgeable and passionate, and I applaud them for using social media to have their voices heard. The American Athletic Conference partners with ESPN. As such, we hope to work with you as partners to fix a broken model.